Grove Dental’s goal is to provide you with the dental procedure you need, while providing a comfortable and enjoyable environment. 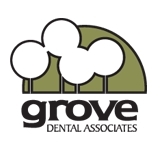 Grove Dental provides dentist with specialities in general dentistry, pediatric dentistry, orthodontics, and oral surgery. Go online today to schedule your next appointment.